There is a sense of community when it comes to paddlers who frequent the Boundary Waters. In episode 16 of the WTIP Boundary Waters Podcast, hosts Matthew Baxley and Joe Friedrichs take this notion a step further and explore the dynamics of families who paddle together in the Boundary Waters. In this episode we hear from the father/daughter duo Scott and Emilie Burditt. Scott and Emilie are Wisconsin residents who make an annual trip to Quetico Provincial Park. They share their stories about a love for the outdoors and paddling in canoe country, and how this bond keeps them connected throughout the year. We also hear from outdoor explorers and adventurers Maura and Bobby Marko. After becoming parents, Maura and Bobby knew that passing on a love and respect for the wilderness would be a major priority for their family. 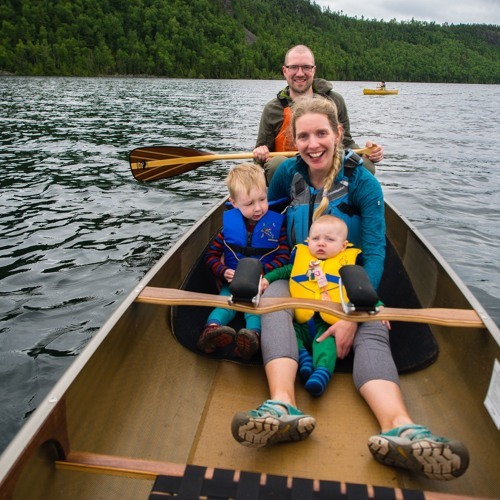 In 2017, the couple, along with their two young children, completed what they call 'The Arrowhead Traverse' paddling inside the BWCA from Moose Lake to Saganaga Lake and then hiking a section on the Border Route Trail. I may be biased but I love this episode.